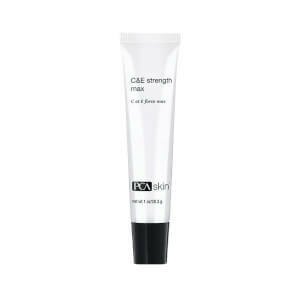 This ultimate age-defying serum uses epidermal growth factor (EGF) technology to stimulate cell proliferation and skin renewal. A blend of botanicals and potent antioxidants prevent cellular water loss, helping to keep skin firm, smooth and protected from damaging free radicals. This product is especially effective for aging skin and those with compromised skin function. Please Note: Formulated with plant derived Squalene and Squalane. After cleansing and toning, apply one to two pumps to entire face and neck twice daily for maximum results. 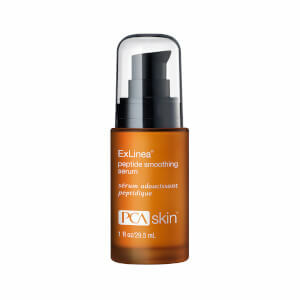 Follow with the appropriate PCA SKIN broad spectrum SPF product in the daytime and moisturizer in the evening. Water/Aqua/Eau, SD Alcohol 40-B, Glycerin, Hydroxyethyl Acrylate/Sodium Acryloyldimethyl Taurate Copolymer, Gluconolactone, Polysorbate 20, Bisabolol, Acrylates/C10-30 Alkyl Acrylate Crosspolymer, Isomalt, Sodium PCA, Sodium Lactate, Sodium Benzoate, Caprylyl Glycol, 1,2-Hexanediol, Mentha Piperita (Peppermint) Oil, Tocopherol, Squalane, Glutathione, Citrus Grandis (Grapefruit) Peel Oil, Citrus Aurantium Dulcis (Orange) Peel Oil, Phospholipids, Phytosterols, Tropolone, Epigallocatechin Gallate, Camellia Oleifera Leaf Extract, Aminomethyl Propanol, Tocotrienols, Squalene, Oryza Sativa (Rice) Bran Wax, Aloe Barbadensis Leaf Juice, Urea, Niacinamide, Glycine, Fructose, Vitis Vinifera (Grape) Fruit Cell Extract, Lecithin, Inositol, rh-Oligopeptide-1. I'm a licensed Aesthetician. This is a must have. I've been using this product for 10 years. It helps prevent aging and keep my dry sensitive skin well hydrated. Help my Botox last longer. this is great stuff.Im using it during the day with the phaze 6 moisturizer .Using ph advantage glycolic moisturizer at night.My skin looks and feels better than it ever has in my entire life Im 52. I have sensitive skin and used to have large pores caused by sensitivity to skin care products containing alcohol. I like the fact that PCA products are aloe vera based and are free of artificial fragrance and colours. This serum really works well for me. Combined with a vit C serum, my skin has never looked better. 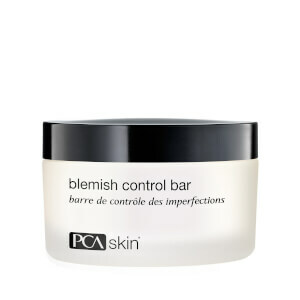 Now I have smaller pores and no more breakouts !